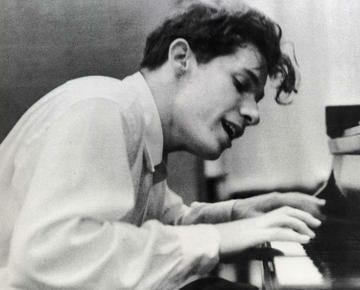 Glenn Herbert Gould was a Canadian pianist who became one of the best-known and most celebrated classical pianists of the 20th century. He was particularly renowned as an interpreter of the keyboard music of Johann Sebastian Bach. His playing was distinguished by remarkable technical proficiency and capacity to articulate the polyphonic texture of Bach's music. Gould was also known as a writer, composer, conductor, and broadcaster. He was a prolific contributor to musical journals, in which he discussed music theory and outlined his musical philosophy. His career as a composer was less distinguished. His output was minimal and many projects were left unfinished. There is evidence that, had he lived beyond 50, he intended to abandon the piano and devote the remainder of his career to conducting and other projects. As a broadcaster, Gould was prolific. His output ranged from television and radio broadcasts of studio performances to musique concr�te radio documentaries about life in the Canadian wilderness. If an artist wants to use his mind for creative work, cutting oneself off from society is a necessary thing. My moods are inversely related to the clarity of the sky. I detest audiences - not in their individual components, but en masse I detest audiences. I think they're a force of evil. It seems to me rule of mob law.